You asked for it so we made it! 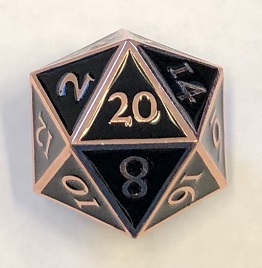 Now you can own a GIANT enameled 35mm Dwarven Metal® D20. This piece has a coppery metal structure throughout with a lustrous black enamel to highlight the artistic numbering.